Port Orange is a sprawling modern city of 57,000 just south of Daytona Beach. Business and tourism promoters have named this part of Florida the "Fun Coast" and the "Sun Coast". Those names haven't caught on as far as I know, and most people just refer to it as the Daytona Beach area. It is officially part of the Deltona-Daytona Beach-Ormond Beach Metropolitan Statistical area. As in most parts of coastal Florida, the old Port Orange is found off the main highways of US-1 and I-95. Poke around on the streets and back roads and you will find an interesting and historic community. The early Native American Timicuan people were displaced by European settlers when Dr. Andrew Turnbull established his nearby New Smyrna Colony in 1768. The New Smyrna operation didn't pan out, but several sugar plantations were established in the years that followed. An ancient reminder of these days is the Dunlawton Sugar Mill. The Dunlawton Sugar Plantation was established in 1804 by Peter Dean on a 995 acre land grant from the Spanish king. It was destroyed in 1836 during the Second Seminole War along with the other plantations in the Port Orange area. 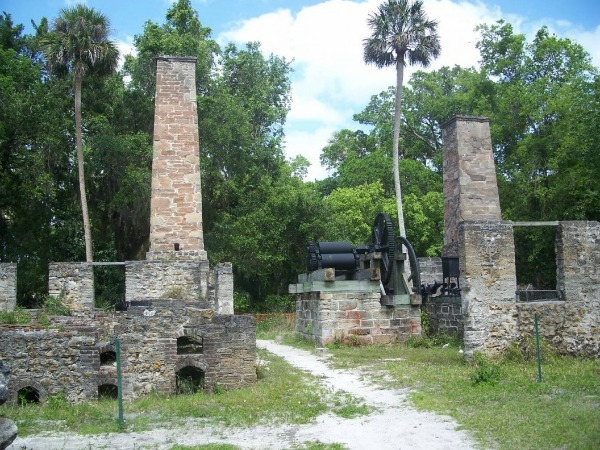 You can visit the ruins of the Dunlawton Sugar Mill at 950 Old Sugar Mill Road. Admission is free, and the ruins and adjacent botanical gardens are open every day from 800am to 500pm except Christmas and New Years Day. After the Civil War - about thirty years after the Seminoles destroyed the plantations - a former U.S. Army surgeon and abolitionist, Dr. John Hawks, came down to Florida with some other former soldiers and brought 500 freed black slaves with them. Their mission was to help the newly freed slaves form a self sufficient community. They formed the Florida Land and Lumber company and settled in the area, naming it Orange Port. 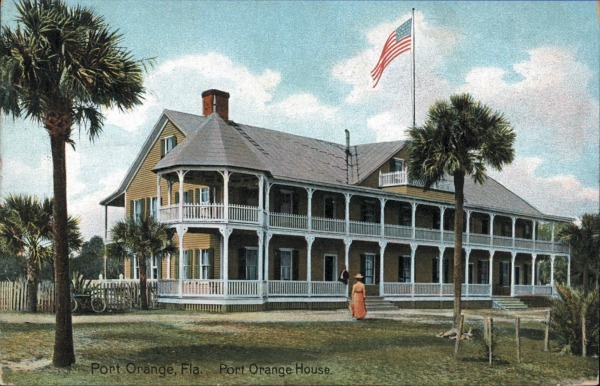 The post office objected to the name because somebody else was already using it, so it was renamed Port Orange. Poor soil conditions and the harsh semi-tropical climate contributed to things not working out. The settlement almost went under in 1869. Only nine families remained and most of the freed slaves left the area. The freed slaves who did stay in the area gave Port Orange a distinctly African-American heritage in those post Civil War days. 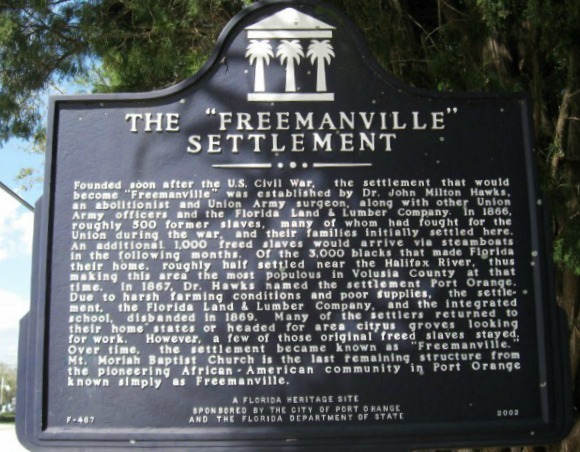 The area of the old settlement is known today as Freemanville and it's the small neighborhood around the intersection of Orange Avenue and Charles Street. This is a few blocks west of US-1 and a few blocks north of Dunlawton Avenue. Not much remains of the original settlement. Mount Moriah Baptist Church, built in 1911, still serves the community as an active place of worship. Like so many other places in Florida, rich Yankees came along and saved the day. When you think of the Proctor & Gamble Company, think of Port Orange. James N. Gamble came down from Cincinnati, Ohio, one winter and fell in love with the Port Orange area. In 1907 he built a Florida cracker style cottage in the country west of town along with a luxurious estate on the Halifax River. Mr. Gamble was the son of the founder of Proctor & Gamble and was credited with developing the formula for the famous Ivory Soap. The Gamble cottage is a classic example of southern country architecture and uses many details typical of Florida cracker houses. Mr. Gamble died in 1932, and Gamble Place passed on through the family and eventually became open to the public. 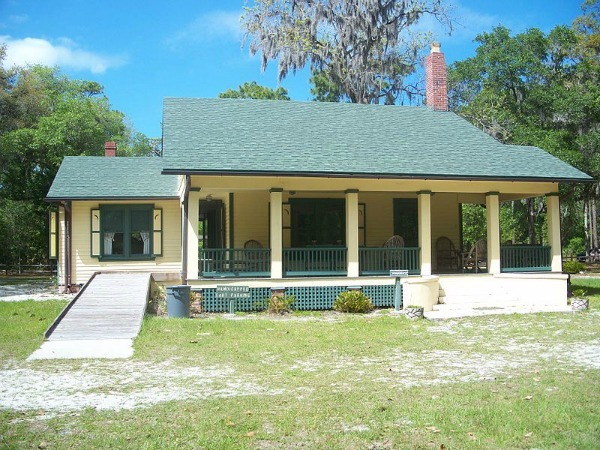 The 175 acre property includes the cottage and a citrus packing house. Mr. Gamble named his cottage retreat "Egwanulti" which is reportedly a Native American word meaning "by the water". The property is also home to a lot of wildlife, azalea flowers and huge ancient cypress trees. Gamble Place is now a historic district listed on the National Register of Historic Places. 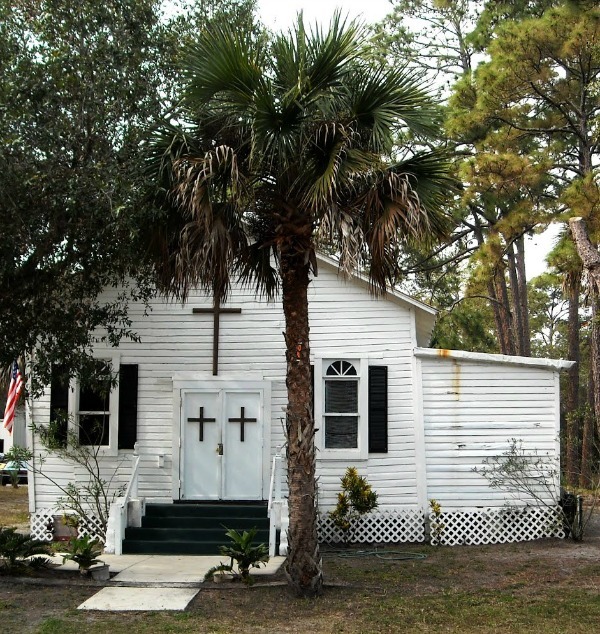 It is located in western Port Orange at 1819 Taylor Road. This is about 1.5 miles west of I-95, Exit 256. This historic place is just north of the modern Spruce Creek Fly-In and Golf community where many residents have their own airplanes and can land on the community's private air strip. John Travolta was once a Spuce Creek resident along with his planes before he moved west to the Ocala region. 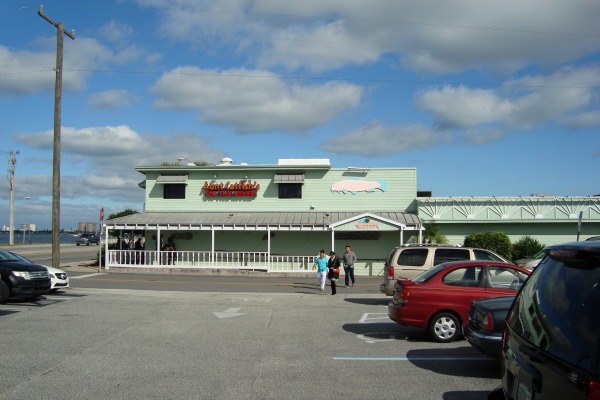 This charming southern style restaurant is at the mainland foot of the bridge that crosses the Halifax River to the South Daytona Beach area. 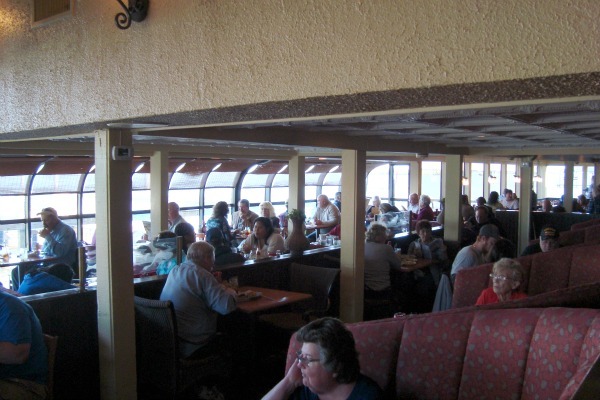 It has wonderful river views from both inside and outside seating area. I have only eaten there during their famous Sunday buffets, and have never been disappointed in anything I've eaten at Aunt Catfish's. The Sunday buffet is very popular and there is usually a wait of a few minutes before you will be seated. It's a big place, however, and I've never had to wait very long. The waiting area has a bar in case you want to sip a brew or cocktail while waiting for your table. When the weather permits, I like to sit outside. 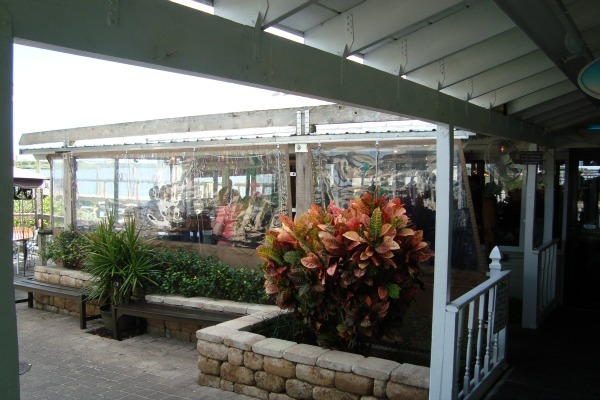 In the colder winter months the outside seating is warmed up by overhead infrared heat lamps and is very comfortable. Aunt Catfish's has a full liquor bar, and I enjoy their Bloody Mary as a buffet appetizer. It is served in a Mason jar and is just the right amount of spicy. The buffet is a self serve operation located inside the main dining room. You can go through the buffet line as often as you like, and in my case I like to go through it a lot. An exception to the self serve rule is a carver at the end of the line who will slice you a nice piece of ham, roast beef or juicy white turkey, and another fellow who will make you an omelette to order. Some of the items I recall from memory (I'm getting hungry) are scrambled eggs, bacon, biscuits, complete tossed salad makings, catfish fingers and catfish fillets, corned beef hash, hush puppies, pastries, fruit including melon and strawberries and a dozen other things I can't remember. There is also a dessert bar with pies and cakes and other sundries. For the truly decadent there is one of those chocolate fountains where you can dip your fruit or marshmellows and leave the place with a truly guilty conscience. Their menu for the rest of the week is extensive and has many more items than the Sunday brunch buffet. They even have lighter menus for the lunch crowd. Aunt Catfish's is open seven days a week for lunch through dinner. The Sunday buffet runs from 900am to 200pm and then the menu converts back to their standard fare.